Imagine if your delegates could manage their learning from any kind of internet-connected device, anywhere in the world. Now they can, with the 'My accessplan' user portal. Let your learners manage and track their training on-the-go with the fully responsive learner portal that delivers on desktops, tablet and mobile. From accessing course materials to booking their latest training, your delegates experience true control over their learning experience. 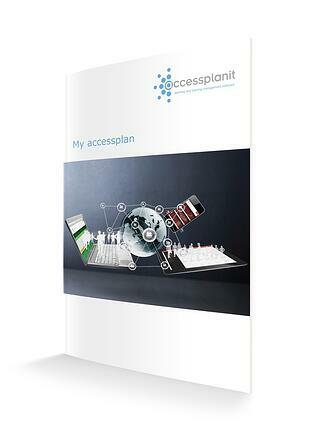 'My accessplan' is designed to be accessible, customisable and completely flexible - no compromises. Make your learners' lives easier today. Find out more about the 'My accessplan' learner portal.